Looking forward to spending this spring taking in the cherry blossoms? Here are the top options for getting around the National Mall and Tidal Basin for the National Cherry Blossom Festival, March 20–April 14. 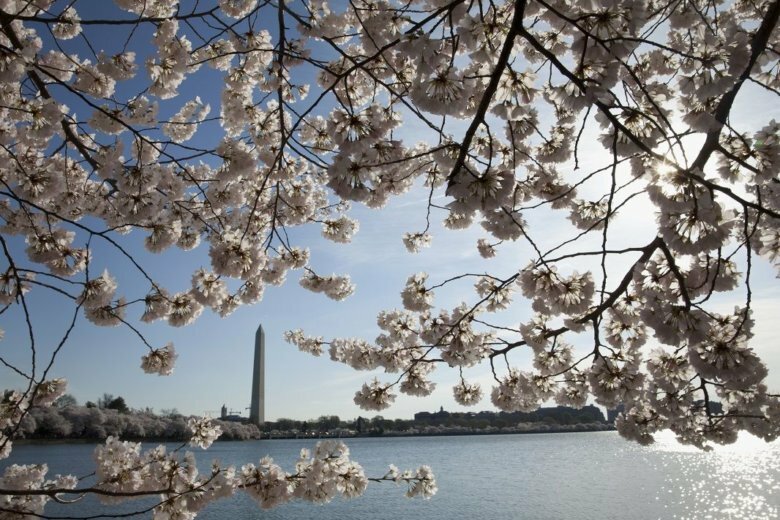 The best stops to view the blossoms along the Tidal Basin are the Smithsonian, Foggy Bottom and L’Enfant Plaza stations. Fare costs vary depending on time and length of travel. 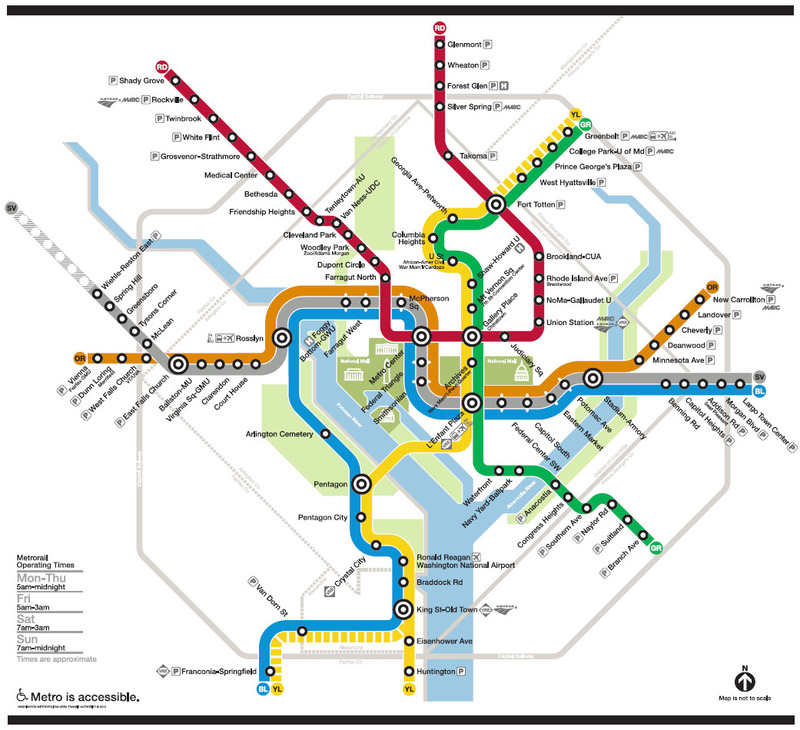 Find information about fares, train schedules and more on Metro’s website. Note: Metro generally avoids scheduling daytime track work during the festival. A map of the Metro system. If you’re planning to make the drive in yourself, expect traffic around the Tidal Basin to become heavier and heavier as the trees reach peak blooms. The roads around the Tidal Basin — Independence Avenue Southwest and Maine Avenue Southwest — may be scenic park roads, but they are also busy commuter routes that ferry drivers from Rock Creek Parkway to the Southwest Freeway. When visitor and commuter traffic combine, traffic often slows to a crawl on these routes. That congestion is often compounded by “diginecking,” as tourists take photos out of the windows of slow-moving vehicles. Curbside drop-offs by ride-hailing and taxi services further slow the pace. All of these little stops add up when traffic is heavy. As for parking, organizers encourage you to book your spot through SpotHero, especially if you’re looking to drive in for the parade. Parking for people with disabilities is also available on West Basin Drive at the FDR Memorial, and on southbound Ohio Drive Southwest on the Washington Boundary Channel side of Hains Point, north of the intersection with Buckeye Drive Southwest. Parking anywhere near the Tidal Basin and Hains Point is at a premium during cherry blossom season. The areas off Ohio Drive Southwest in West Potomac Park will be full most days around peak bloom. The paddle boat parking lot off Maine Avenue Southwest will likely close for National Park Service staff, so don’t expect to park there during the height of the festival. The Circulator’s National Mall bus route hits most of the major National Mall landmarks, including the Lincoln Memorial and U.S. Capitol. It costs a dollar to ride, but with a SmarTrip card, you can get on and off the bus as much as you want during any two-hour time period. Buses are scheduled to arrive every 10 minutes. Check out the full DC Circulator system map. There will probably be plenty of taxis in downtown D.C. that you can hail directly off the street. And the D.C. Department of For-Hire Vehicles (formerly the D.C. Taxicab Commission) has a smartphone app that allows you to hail a taxi using your smartphone. Ride-hailing companies such as Uber and Lyft operate in D.C. and are additional options for downtown travelers. The Capital BikeShare program offers roughly 4,300 bicycles at approximately 500 stations throughout the D.C. region. Check a bike out at one station and return it to any station near your final destination. The Capital BikeShare station map shows you where you can find available bikes. The cost is $2 per trip and $8 per day. A 3-day pass costs $17. You can find more information about pricing and signing up on the Capital BikeShare website. Several dockless (i.e. free-standing) bike services have brought their fleets of bikes to the area as well: Mobike, LimeBike, Jump DC and Spin. Download an app, set up your payment info, and you’re good to go. If you really want to beat the crowds on the streets near the Tidal Basin, you could get a view of the cherry blossoms from the Potomac River instead. The D.C. Water Taxi offers Potomac cruises that provide views of Jefferson and Lincoln memorials, the Kennedy Center and other sights. Riders can board in Georgetown or near the National Mall by the FDR Memorial. Tickets are $25 for adults and $12 for children between the ages of 3 and 16. Discounted tickets for seniors, government employees and students must be purchased online in advance. You can find more information on the D.C. Water Taxi website. The Wharf has 1,500 underground parking spaces for bicycles. The Wharf Jitney operates between the District Wharf pier and East Potomac Park-Hains Point. The small, electric-powered ferry is free, pet- and bike-friendly, runs twice an hour and makes the trip in about three minutes. The Potomac Riverboat Company also provides water taxi service between the District Wharf and Old Town Alexandria. There are a number of hotels in D.C., and a number of sites through which to book. The National Cherry Blossom Festival features hotels with special rates and packages through its website.